Sang-Myeon Park, Actor: Injeong sajeong bol geot eobtda. Sang-Myeon Park was born on January 27, 1968 in Seoul, Korea. 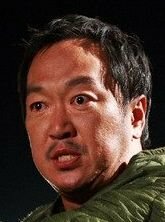 He is an actor, known for Injeong sajeong bol geot eobtda (1999), Hilleo (2014) and Yuadogjon (2002).